The standard of quality in Europe—any part worthy of TÜV certification must meet rigid standards of quality and safety. 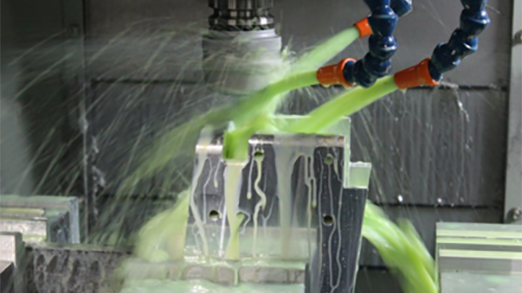 Our customers can be assured they are purchasing a part that has passed a grueling series of tests administered by a certified third party. 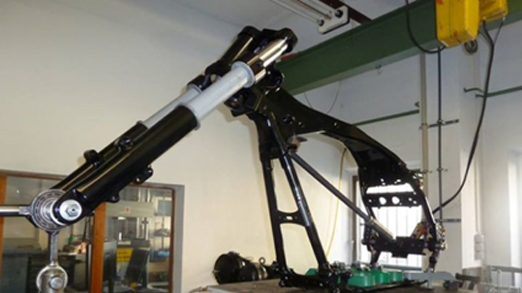 During TÜV testing conducted on the 25th of July, 2015, such force was exerted on the kit that the stock frame holding the kit broke, while the kit remained intact—a profound testament to the superior quality of materials and engineering. Under normal circumstances the installation of a bigger front wheel causes clearance issues between the lower triple tree and the front fender. This may necessitate an increase in front-end ground clearance, or a reduction of the front suspension damping rate. Not with the Steel Kore Rake Kit. Now you can keep your stock ground clearance and proper front wheel travel, whether it’s a 23″, 26” or a 30” wheel. The proper ground clearance and fender travel have already been designed into the product. Proper adjustment of the steering head bearing is very important, as it’s the most critical safety adjustment on a motorcycle. 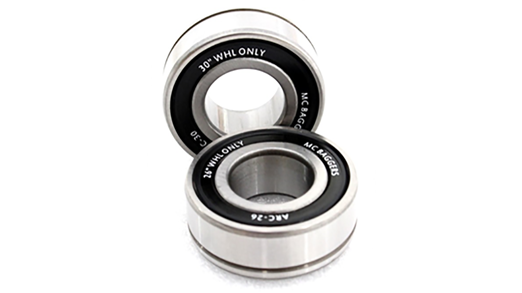 A steering head bearing that is too tight can interfere with the vehicle’s ability to absorb a weave, and one that is too loose can alter the bike’s ability to absorb a wobble. Adjusting the steering head bearing requires a qualified technician, because essentially the front of the bike must be disassembled in order to do so—that is, until now. 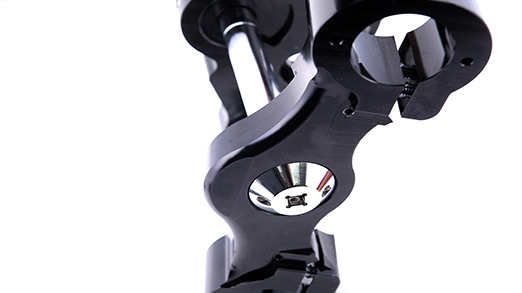 Our revolutionary design has the bearing nut placed at the bottom of the lower triple tree for easy access. Now you can spend less time disassembling your bike and more time riding it. 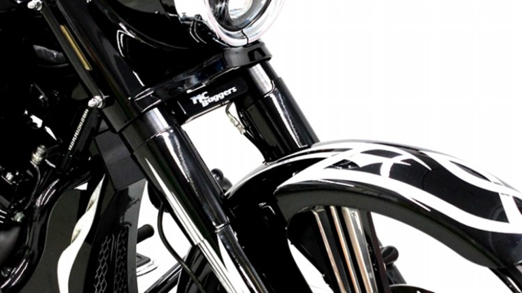 If you have performed any kind of basic motorcycle repair work you will have no problem with this installation. There is no need to hire a professional mechanic, since the process involves no welding or cutting and the only tools you need to install the Steel Kore Rake Kit are ones you likely already have in your garage. The instructions we provide are very detailed and easy to understand, and are accompanied by clear photos of the entire installation process. Each kit starts out as a single solid block that, when completed, gives you a component that is as strong and precise as it is beautiful. 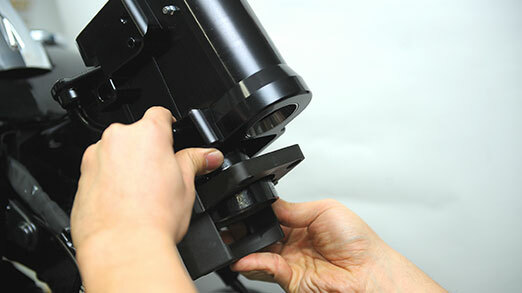 The frame bracket and bolts are made of SAE-4140 high-tensile steel, and the main frame is the made of 6061 T-6 aluminum. You can have peace of mind knowing you have installed a rock-solid component—guaranteed to provide even more strength and precision than the original part. The combination of cutting-edge design and modern engineering technology ensures the highest durability and best frame alignment of any rake kit on the market, and because our kit becomes an integral part of the stock frame, you can confidently look forward to a safe and stylish ride—guaranteed. Raking out your bike means imperfect braking, because your ABS doesn’t know you’ve installed a bigger wheel, and that massive front wheel revolves more slowly than the stock wheel. With the bigger wheel the rotation distance is longer, and the ABS cannot understand and apply adequate front braking pressure and frequency when the brakes are applied. MC Baggers has solved this problem with our newly-designed ABS bearing. 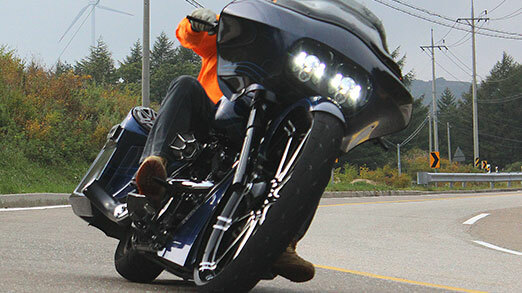 Ride in style without compromising safety. When you install a wheel that is 23 inches or larger, a variety of new factors must be considered, such as wheel size, frame rake, triple tree offset and rake, and fork length. Improper consideration of these factors can lead to negative consequences, such as high-speed wobble or wheel flop. The Steel Kore Rake kit was masterfully designed to account for all these new variables by achieving the proper trail number with no compromise in fender clearance. Because it achieves the correct trail number, the wobble that typically occurs with other rake kits at high speeds is completely eliminated with the Steel Kore Rake kit, no matter how fast your cruising style.